← #Interview & #Giveaway ~ Meet author, Ann Troup!! and, enter her Giveaway! 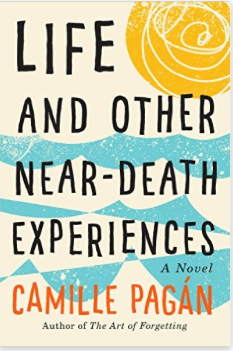 Camille Pagan delivers another brilliant novel. When faced with death, how would you react? Libby Miller finds out she has cancer, and in the words of her twin brother Paul, “There is healthy denial and then there’s ‘Libbyland’”. The same day that Dr. Sander’s tells Libby she has a rare form of cancer, she goes home to find out that her husband of about 20 years has a secret all his own, that may mean the death of their marriage. With both of these bits of news, Libby is certainly in “Libbyland”. What is Libby to do? Quit her job, put her home up for sale, and run off to a town in Puerto Rico that her parents loved? This adventure begins when she is flying to Viegues, Puerto Rico…and she meets a man name Shiloh. She is going to spend one month in a rental property on the land of a woman named, Milagros. These two people will change her life as she knows it. Her brother, Paul is going to find her and figure out why she has ran away. He is not one to give up on his twin sister. While she is ready to “March into the great beyond” and not seek treatment for her cancer, she learns more about life than she had ever realized. The question is: Will she realize that she wants to live, before it is too late? I was enamored with this story from the beginning, right through to the end. Camille has a way of drawing you in to her stories, and making you feel like you are reading about someone you know and care for. This story will make you think about the choices you make each day regarding your life. I have got to read this book. Gone to the top of my TBR book!